Maverick enjoys the best airplane rides with San Diego Sky Tours. He suggests to only fly with the best pilots! The Socal Classic airplane ride epitomizes the 'California Dream' in just 30+ minutes, you see everything! Have you ever been disappointed in a tour? 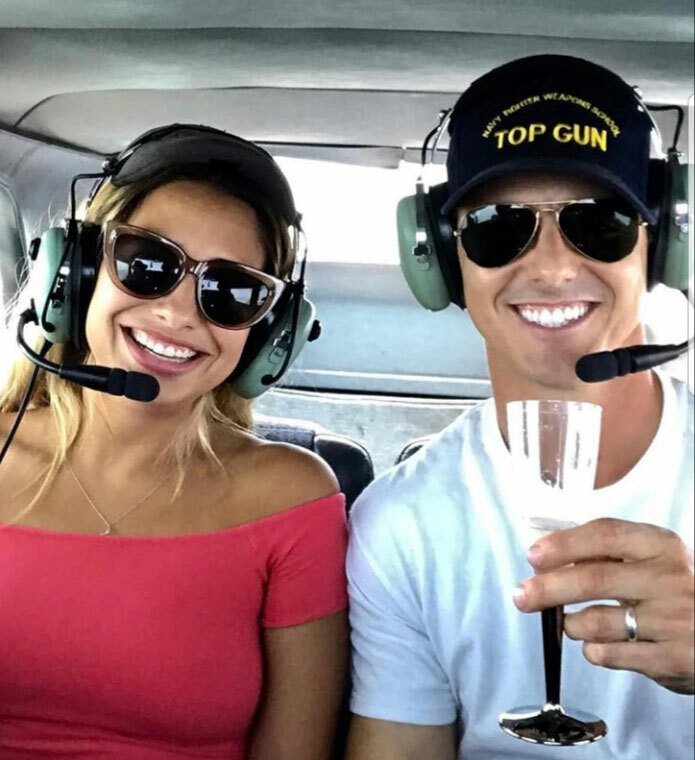 Your expectations will be exceeded by our Exceptional Experienced Tour pilots (check out tour pilots here), the airport venue, and the friendly atmosphere of our vintage hangar. The airplane ride includes flight over 20 of the city's most popular landmarks and tourist destination. The SoCal Classic is our most popular aerial tour! Professional, expert pilots (Airline and Ex-military). Give us your preferences, requests and we will try to accommodate! The Best Tour you will ever have of San Diego, an Aerial Tour in comfort, off the beaten tourist path, a well-kept exclusive secret! Impress your friends putting this together. Easy to set up! Flexible times and easy reschedule. Move dates, just call us! Great for Birthdays, Anniversary's, or other celebrations that should be celebrated together. Combine it with biplane rides, aerobatics so each person can challenge themselves. Everyone talks about your event for years to come so celebrate your event in our Vintage Hangar! Hotel Del Coronado from above! Lindbergh Field, Downtown, Maritime Museum. All the best San Diego Tourist spots!